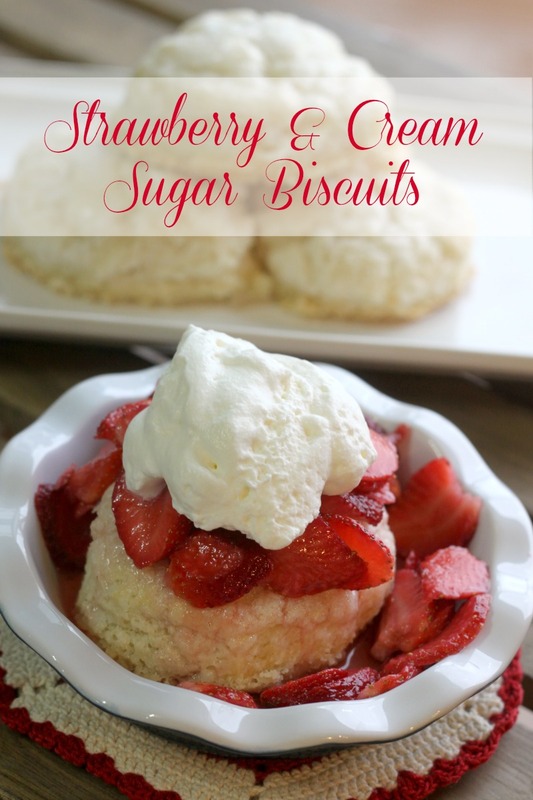 I used frozen biscuits, Dipped them in heavy whipping cream then covered all sides with sugar. Put them in a baking dish ( on foil because the milk and sugar will run while baking and stick to the bottom of the dish) bake according to biscuit package directions. In the pictures above you'll see the biscuit after I have dipped it in the whipping cream and sugared it on both sides. Then in the top picture is the biscuit after it is baked. Look at the yummy sugar crusted sugar biscuit! Put whipping cream in a small bowl. Put sugar in another small bowl. Dip biscuits into the whipping cream then into the sugar coating both sides. Place biscuits in a foil covered baking dish. Bake according to biscuit directions. Mine baked at 375 degrees for 24 minutes. 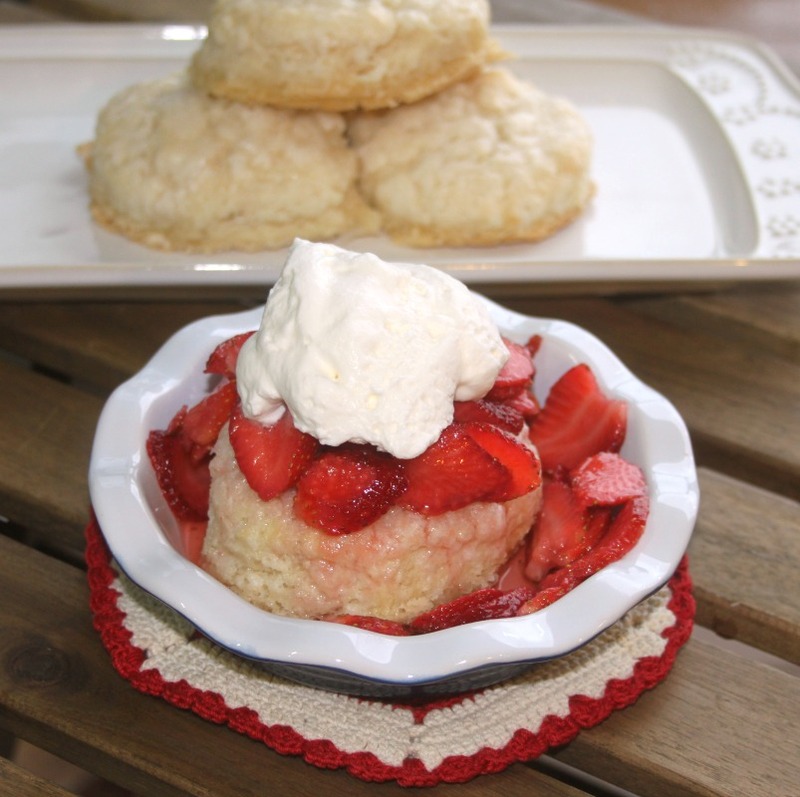 After cooled place biscuits in a dish and cover with strawberries and whipping cream. These look and sound amazing!!! Can't wait to try them out! Such a great idea. Yum! Thanks for joining the Inspiration Spotlight party. Shared. Hope to see you again soon.